Clear mahogany color. Savory aromas and flavors of waxy fruit, pickled berries, rubber sap and leaf, and hint of varnished wood with a supple, tart, finely carbonated, dry-yet-fruity medium body and a polished, interesting, medium-length finish with notes of endive salad with cherry vinaigrette and buttered brioche finish. An interesting sweet and sour mash up that will work nicely at the table. Bottom Line: An interesting sweet and sour mash up that will work nicely at the table. 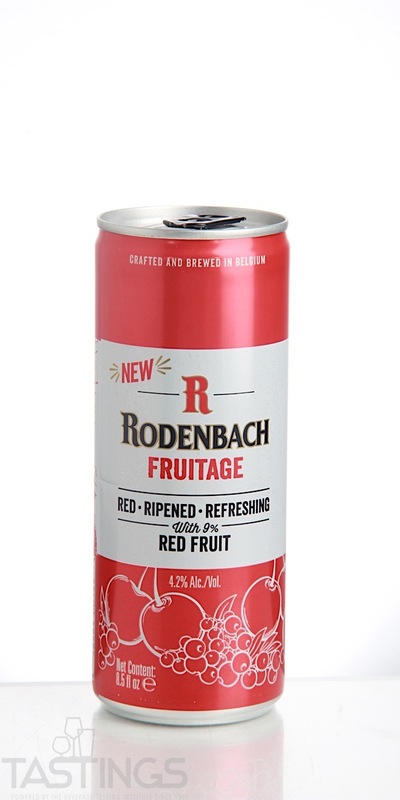 Rodenbach Brewery Rodenbach Fruitage Ale rating was calculated by tastings.com to be 88 points out of 100 on 6/8/2018. Please note that MSRP may have changed since the date of our review.